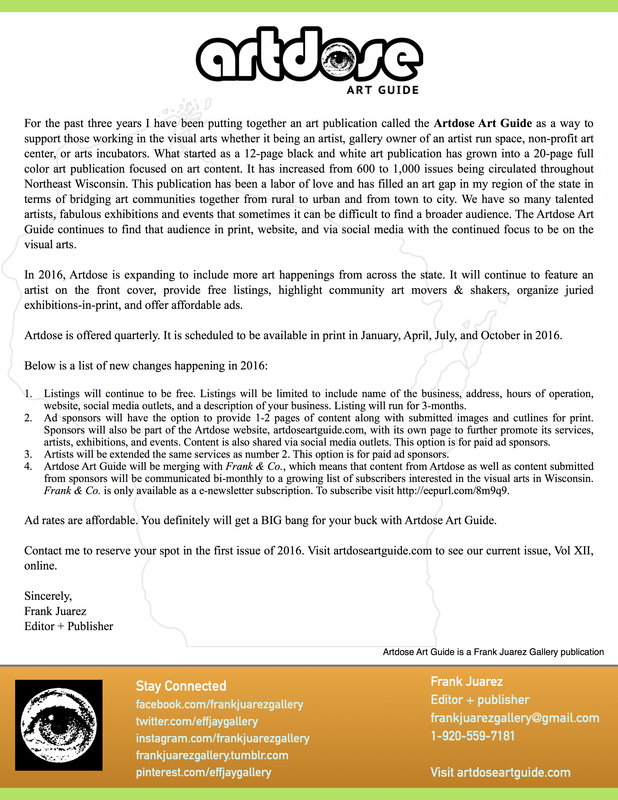 Announcement: The Artdose Art Guide is expanding its outreach to include more Visual Arts across Wisconsin. To inquire about how to be a part of this growing art publication contact Frank Juarez at frankjuarezgallery(at)gmail.com. This entry was posted in Uncategorized on November 6, 2015 by Frank Juarez.